WebGL is a context of the canvas HTML element that provides a 3D computer graphics API without the use of plug-ins. The specification was released as version 1.0 on March 3, 2011. WebGL is managed by the non-profit Khronos Group. 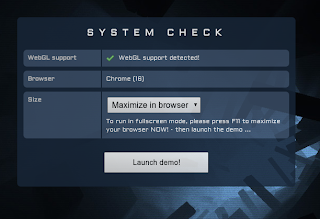 WebGL is required to play some games or run some applications on Google Chrome e.g. SKID Racer game on Chrome Web Store. WebGL should be activated by default in Google Chrome, if you are unsure about it, please check the WebGL capability by visiting this site and choose whatever test you want. If your Google Chrome supports WebGL, the above picture should appear on your browser. Once edited, save the changes and do a WebGL test.